Fresh from conquering the regional stage in the WGL APAC Season II Finals 2015-2016, EL Gaming and GOLD BASS are all geared up for a new challenge on an international scale. 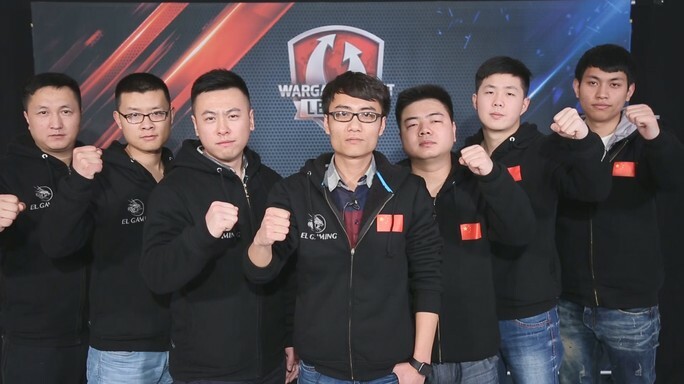 These two teams are familiar faces to World of Tanks eSports fans across the Asia-Pacific, and no doubt a force to be reckoned with. On one side we have Asia's EL Gaming; second place at last year's Grand Finals, Pacific Rumble winner and reigning APAC champions for two straight Seasons. On the other side, GOLD BASS is a fan favorite and top Korean seed since 2013. It's their third appearance at the Grand Finals, though now they're under a new name. 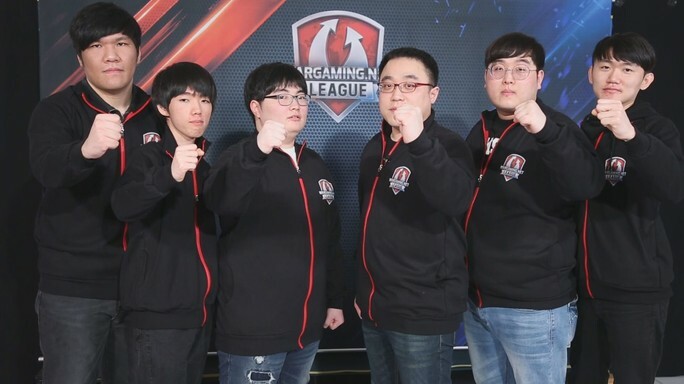 Can EL Gaming succeed in taking first place this year, or is it time for GOLD BASS to bring home the glory for Asia? Catch The Grand Finals in Warsaw on April 8-9 to find out! Congratulations on yourSeason Finals win! How do you feel being selected for the Grand Finals again? We are very honored to be able to represent the Asia [region] in this year's Grand Finals. Our goal is the same as always -- to do our utmost to win first place in this international tournament. What kind of strategies might help you win it this time around? Having a solid foundation in terms of battle skills, and team unity! We schedule 8-10 hours of each practice day systematically and scientifically, so as to maximize our training efficiency, and try to ensure we remain alert to all the finer details of our gameplay, both in random battles and team training -- whether we're communicating efficiently with each other, or have a thorough understanding of the overall tactical situation, and so on. In addition, we put aside an afternoon every week to play some badminton, because physical fitness is also an important factor in tournaments. How do you feel the switch to tier X has impacted tournament meta? We know EL Gaming likes to play aggressively, so is there a change in play style or strategy? The basic map approaches remain the same, but there's greater scope for creating different lineups with tier X tanks as compared to tier VIII tanks. The burst damage capabilities of the tier X tanks -- the TVP 50/51 and WTE-100 in particular -- are way beyond that of tier VIII tanks. It'll be harder for us to execute our signature wolf pack strategies now, as initiating engagements at strategic points and proper coordination of focus fire are more crucial than before. But we've since evolved our tactics to focus on the mid-to-late game, and to better capitalize on our enemies' flaws in order to deliver a fatal blow. How do you feel being selected for the Grand Finals again? It is the goal of all WGL players -- we are really thankful that we are able to advance to the Grand Finals. We couldn't have done it without the encouragement of our fans and the support of the WG eSports staff. Thank you all for cheering us on! Do you think you'll be able to beat EL Gaming this time? If we meet EL Gaming again at the Grand Finals, we'll certainly beat them this time. We may have suffered a defeat at the Season II Finals, but it was because of a tactical problem, not a lack of combat skill -- we'll be sure to overcome this at the Grand Finals. Also, we've always believed that if you think you're going to lose, you're already defeated. So we make sure we're constantly envisioning our victory. Based on your performance at the Season Finals, what might be improved for the Grand Finals? Although one of our main players won't be able to participate in the Grand Finals, the rest of our team has plenty of potential, experience and know-how in the battlefield. So we'll definitely be able to prepare better tactics and make better strategic decisions at the Grand Finals. Stay tuned for the introduction of the qualified teams from the other regions! To keep up to date with all the latest news and updates about The Grand Finals 2016, simply like us on Facebook and follow us on Twitter. And bookmark BattleViewer.com to catch the action live!